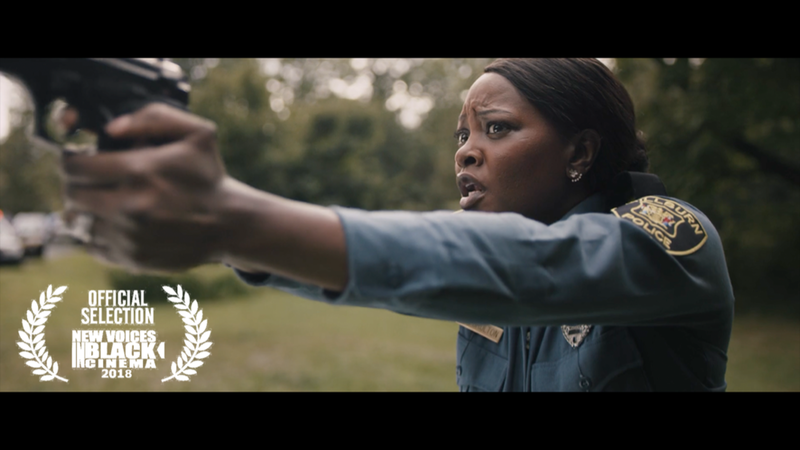 FLOORED that Interference has been officially selected as one of 15 films in the NBCU Short Film Festival. This incredible initiative aims to diversify the film and TV industries from the ground up, cultivate new talent and voices, and create a pipeline to bringing new artists into the NBC family. 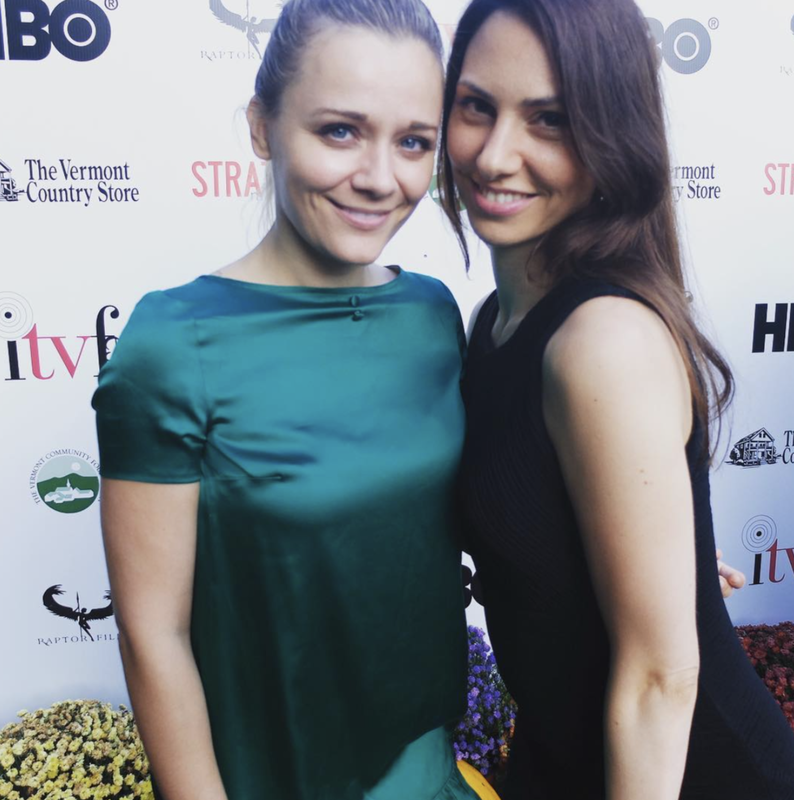 As a writer and director who has been making my living in film and TV production for four years now, it is so exciting to see a major network take meaningful steps to create a lasting change in our industry. I cannot wait to meet all of the hard-working, committed people who make a festival like this possible, and to get to know the work of the other filmmakers who are sharing the lineup! Check out the list of films here! FREE tickets can be reserved for the NY screening (we screen Tuesday, August 14th) here! BEST COMEDY, BEST ACTRESS (me! haha! ), BEST SUPPORTING ACTRESS (Surina Jindal), BEST SUPPORTING ACTOR (Collin Smith), BEST ENSEMBLE CAST, BEST PRODUCTION DESIGN (Kory Diskin), and BEST COSTUMES (Fern Cozine). I also had the immense pleasure of participating in a panel hosted by Jeff Ayars about creating your own work with some of my personal heroes, Tyler Hollinger (creator of Man-Babies), Sonja O'Hara (creator of Doomsday, Astral, and many more shows), Michael Melamedroff (direcotr/producer of THE PROBLEM WITH APU), and Victor Cruz (BLUE BLOODS, creator of THE STOCK ROOM). We had a wonderful time sharing our war stories with a packed house, I absolutely love meeting and speaking with emerging filmmakers. 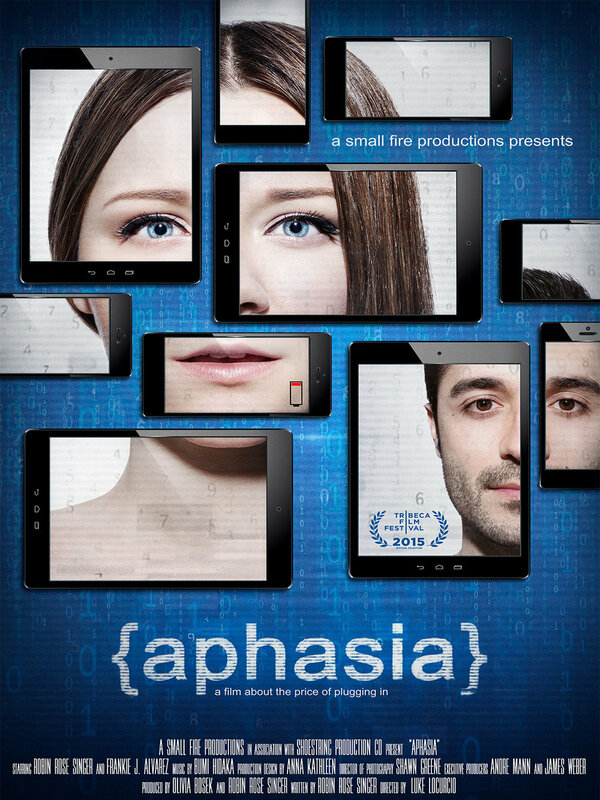 Aphasia, a film I wrote, produced, and acted in, is now available on Amazon (and included with your Amazon Prime membership)! Check it out here! The film is a sci-fi drama about the consequences of relying on smart technology, and it premiered in 2015 as an Official Selection of Tribeca Film Festival. It screened on United Airlines and at the Palm Springs Film Festival, Hell's Half Mile, Nighthawk Shorts Fest and Cinevana Istanbul. NO KICKS LEFT BEHIND, a feature I wrote with Lai Cheung, has been shortlisted for the Orb Media Group's China-Hollywood Screenwriting Fellowship. The advisors for this program, which includes a cross-cultural trip to China, have brought to life some pretty massive films including the RUSH HOUR films, HACKSAW RIDGE, CORALINE, WAYNE'S WORLD, ROBOT & FRANK and many more, and we are so excited to have a chance to work with them. NO KICKS is a family-driven story centering around brother and sister martial artists, rebuilding their relationship after their father passes away suddenly. This shortlist represents the top 8% of entries to the program. Very excited to be part of a reading of Ruthellen Cheney and Jesse Tendler's feature script, CAROUSEL, in the Acura Lounge on Main St. at Sundance! Join us by RSVPing here! The script for The Lions of Mesopotamia, a feature I wrote (and just had the absurdly good fortune of workshopping at NY Stage and Film), has been shortlisted for the AMPAS' Academy Nicholl Fellowship. Every year, the organization that curates the Oscars, also awards this fellowship to a few emerging screenwriters. The award attracts some major talent, and I feel extraordinarily grateful to be counted among their TOP 50 selections, out of the 6,915 have moved on for further consideration. That's just.... whoa. A huge THANK YOU to everyone who makes the time and puts their love into developing new work. From the readers writing coverage to the forty or so incredible souls at NY Stage and Film last week-- the love, the support, the thoughtfulness, the generosity and the energy you put into cultivating new voices is MAJOR, and it has had an impact on me for sure. I'm really looking forward to sharing this film with the world someday, and hopefully letting it speak for the people whose voices so far have been drowned out by violence. You can check out more about this year's Nicholl and the fellows here.